The Go Rhino Dominator D4 Steps have a unique dual step design. 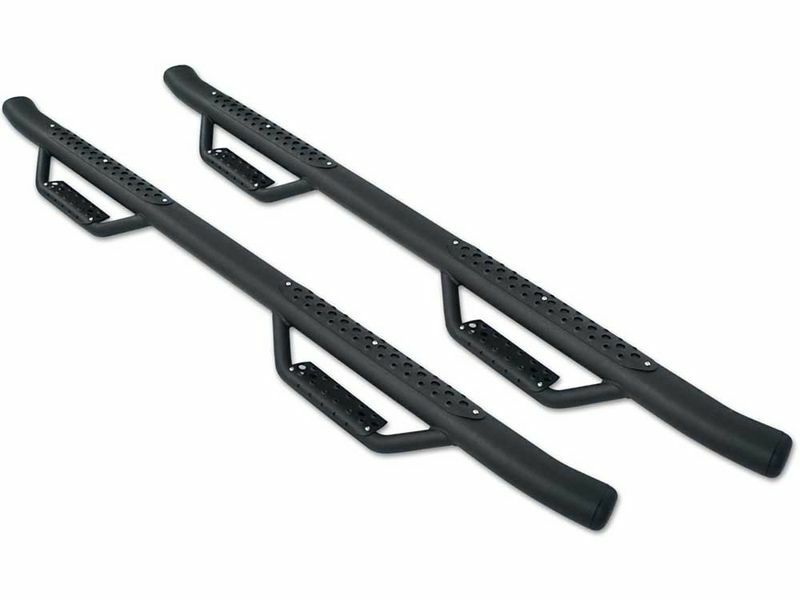 There are step plates located on top of the bar underneath the door of the vehicle, and another step plate located on the 2" bar underneath. This design works extremely well on trucks with taller lift kits. The Dominator D4 Black Steps are constructed out of mild steel and finished in a durable gloss black powder coat. They mount to vehicle specific brackets for a perfect and secure fit to your vehicle. These steps are protected by a 5 year limited warranty.